Does the area of educational psychology make you long for a career in this area? Do you think that you truly have something to contribute to this career world? Continue reading below to determine what you can do to get a job in this world, what your responsibilities may be, and just an overall picture of this occupational path. Educational psychology refers to the study of how individuals learn and process information within an educational setting. In addition, how effective educational interventions can be, how schools contain aspects of social psychology, and how psychology plays into the practices and methods of teaching are also parts of what is contained within the educational psychology occupations. 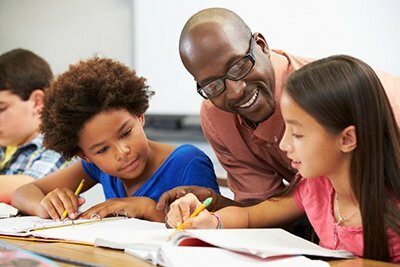 Once in the work force you would be paying particular attention to how students learn concepts, how they develop in both academic and social areas, how individuals with specific disabilities function, and how gifted children function in a specific educational setting. Keep in mind, it is common for people who are in the professional world of educational psychology to be classified as theorists, educational psychologists, researchers, or school psychologists. As you pursue this branch of psychology it is important to understand that in order to grasp a complete understanding it often has to be studied in correlation with another branch of psychology. Educational psychology works alongside other branches of psychology much in the way that biology and medicine work together. Furthermore, educational psychology is designed around the science of learning and of cognitive sciences by studying aspects such as curriculum development, educational technology, classroom management, instructional design, special education, and organizational learning. Although your specific job related responsibilities will vary some from one career avenue to another, you will be working to understand learners of all areas – childhood, adolescence, adulthood, and the elderly. In addition, educational psychologists study a variety of stages that people of all ages experience as they progress through life. This refers to social roles, beliefs about the nature of knowledge, how individuals mature, moral reasoning, and developmental theories related to how an individual’s mental abilities change. It is common for educational psychologists to devote much of their work with relation to Piaget’s theory of development. This psychological theory deals with the four stages of cognitive development that individuals experience as they grow and develop. However, some educational psychologists choose to follow the works and theories of Steiner, which are very similar to that of Piaget. No matter which theorist you decide to focus your studies on, it is important to understand that with the recent increases in issues such as bullying, this career path is sure to be a good vocational decision. If you choose to work within an area of educational psychology that focuses on children, you may find that you are required to spend much of your time teaching your patients to understand the difference between fantasy and reality. In addition, you may also work with individuals regarding their specific personality-related characteristics, the motivational aspects, their creativity, intelligence level, how they process information, how they relate with others in various circumstances, and how they communicate. You may also find that you are required to work with individuals who have been diagnosed with dyslexia, speech disorders, attention deficit hyperactivity disorder, and other learning disabilities. You will also have the training and knowledge necessary to work with individuals who have issues of blindness, hearing impairments, cerebral palsy, mental retardation, and epilepsy. Keep in mind, many of the issues that you may end up working with will largely depend upon your selected avenue of employment.